DIY work in your home can often turn into a bit of a ‘Destroy It Yourself’ job if you dive into it without doing a bit of research first. 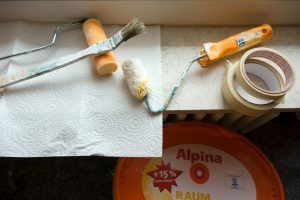 It’s likely you’ll save some money doing that much-needed bathroom maintenance yourself, but without the proper techniques and tools, you might be left feeling a bit disappointed with the end result. It’s also very likely you’ll want to avoid a visit to A&E, so we’ve also added some handy safety tips should you be using any heavy or sharp tools for your upcoming DIY work. 1. If your hands are covered in grease and paint – use vegetable oil to lift it off your skin. It’s better than using additional harsh chemicals to try and strip it off, which can cause dryness and itching. 2. If you’re moving home and there are pin and nail holes everywhere on the walls where your pictures used to be – filling them with toothpaste is a quick and effective fix. 3. Tired of screws being a hassle to pick up and drive into the wall by not staying in place? You can magnetise a screwdriver by running it over a pole of a magnet in the same direction a few times. 4. If you’ll be drilling holes into your bathroom tiling, place masking tape in the area you’re about to drill into, to prevent your drill from dangerously slipping. This is not only hazardous to you, but it can damage the rest of your tiles. 5. The smell of fresh paint can become unbearable after the first hour or so. To help reduce the odour, add some vanilla essence into the paint before you start. Don’t worry – it won’t have any effect on the colour of your paint! 6. If you’re taking a break from painting, wrap your roller tightly into a plastic bag. This will keep it soft and prevent it from drying out and becoming unusable. 7. If you forgot to wash your paintbrushes after you completed your last DIY job, they’ve probably gone rather solid. Place them in hot vinegar and comb the bristles with a fork to make the useable again – there’s no need to throw anything away! 8. To keep your roller tray clean, apply a layer of cling film over it before you start painting. Simply peel it away once you’ve finished and your roller tray will still be as good as new. 9. Bubbles in wallpaper can be incredibly irritating! If you find some whilst decorating, use a thin knife to create a very small cut in the wallpaper. Insert a very little amount of wallpaper paste and press down thoroughly. Wipe away any excess paste with a cloth. 10. If you rub candle wax along a saw blade, it will prevent it from sticking whilst you saw through materials. This results in a much smoother cut. 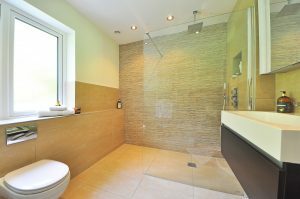 If you’ve got extensive bathroom work that needs taking care of, often it’s better to trust a professional. It also might take more than a coat of paint or some wallpaper to make you love your bathroom once again – if that’s case, why not have a complete renovation? RN Williams offer contemporary bathtubs, furniture, tiles and fixtures, as well as a personalised design service for bathrooms, Conwy and surrounding areas.